Make soup, not war! Or, make pasta. Or a great stir-fry! Back in America in the Sixties, John Ulam began his career in a factory, bonding carbon steel for use in weapons. Gradually, life took him in another, completely different direction – and by 1973, he’d founded his very own cookware company - All-Clad. All-Clad’s goal was a simple one: make great quality cookware to the highest standards possible. Well, they've gone and done that. All-Clad's brilliant range of stainless steel cookware is now among America's favourites, beloved by professional chefs and serious cooks all over the world. 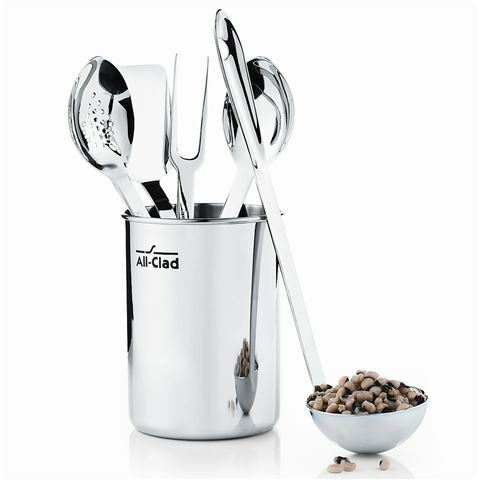 With that achievement under their belt, All-Clad have decided to create cooking utensils to match their pots and pans and woks and tagines, for an all-round All-Clad experience in the kitchen. The Stainless Steel Tool Set is a collection of kitchen essentials designed to match All-Clad's sleek cookware, made from 18/10 stainless steel and featuring six different tools. They even come with a canister to pop them all in, with an ultra-modern mirror polished finish. 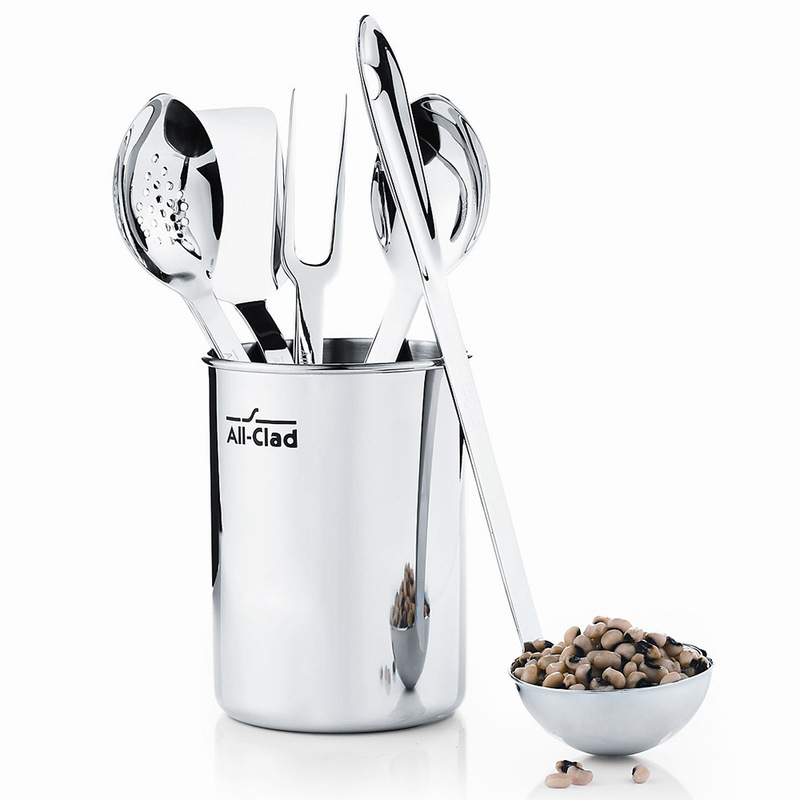 Inside this set, you'll find a solid spoon, a slotted spoon, a fork, a ladle and a small turner – all with the unbeatable quality expected from All-Clad. Includes all the kitchen utensil essentials you need. Presented in an All-Clad gift box. Canister – 18 x 13.5cm.